Welcome to Mud Dabber's Pottery of Brevard! Our online store is now OPEN! Click the “Online Store” link from the menu above. At Mud Dabber's, we're pleased to offer one of the largest selections of locally produced pottery in the mountains of Western North Carolina. Originally established as a family business in 1988 by the John O. Dodson family, the store now features the works of over 25 local potters. In addition to our store gallery, visitors are welcome to view the working studio located next door. 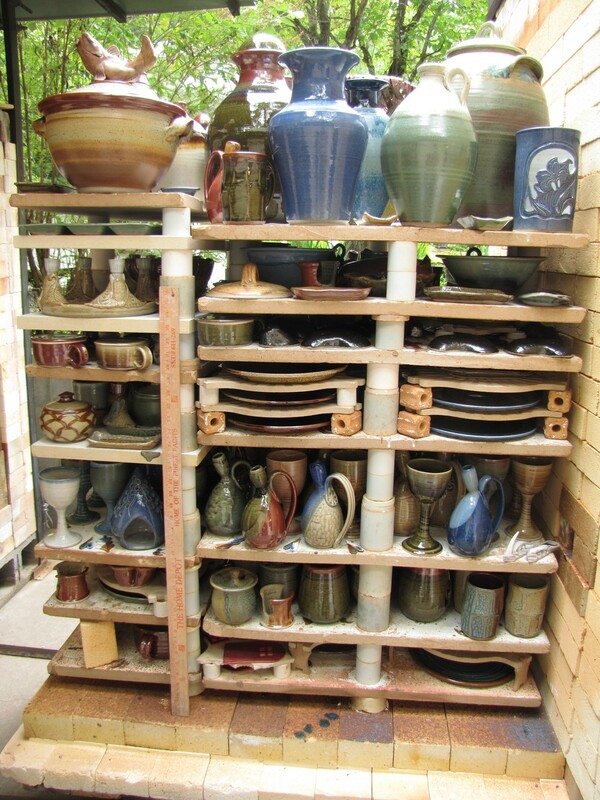 Much of our pottery is fired in kilns onsite. Mud Dabbers is located in a historic general store building (1922) located on the banks of Dunn’s Creek, just four miles south of downtown Brevard on Greenville Hwy/US Hwy 276. We’re located about 40 minutes from Hendersonville, NC; 50 minutes from Asheville, NC and about 1 hour from Greenville, SC, in the beautiful French Broad River Valley. Our regular shoppers love checking out our “tired and flawed” section where we offer at a discount pots which have been around too long or are slightly flawed. Many a treasure is found on these shelves! We also offer custom wedding registries with a wide variety of items available. Enjoy this slideshow of some of John Dodson's latest face jug creations!